Welcome to “Avalon by the Sea”! Home sleeps up to 4 adults and 2 children age 12 or under. 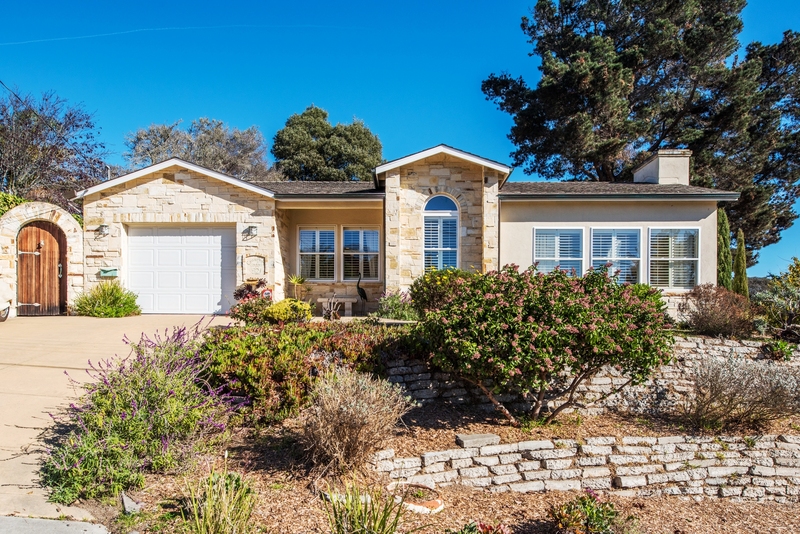 You'll love this bright, cheerful home located in Del Rey Oaks, a quiet bedroom community within 10 minutes of Carmel, Monterey and other major Monterey Peninsula attractions. If you're a tennis aficionado, courts are within walking distance. 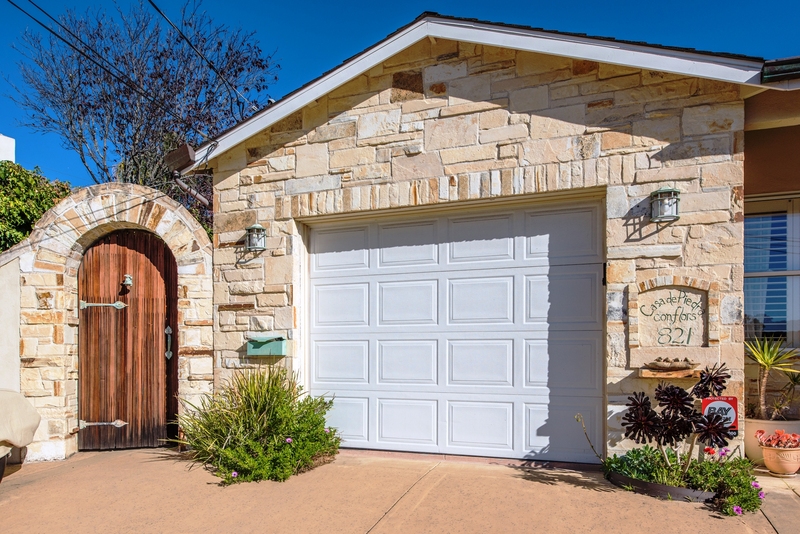 The contemporary 2,100 square feet, 2-bedroom, 2-bath plus den is faced in sand-colored Carmel stone and sits up on a rise that offers an elevated position over other homes in the neighborhood. A terraced front garden is planted with drought-tolerant flowering plants. Your spirits will lift the moment you open the door to this feel-good kind of place. 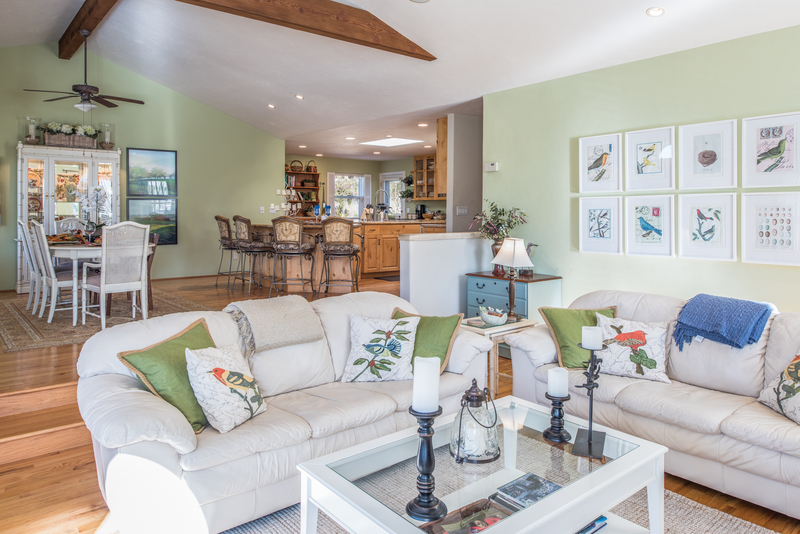 Prints of birds and botanicals and a crisp lime-green and white color scheme bring nature indoors in this immaculate dwelling that features a spacious great room, high beamed ceilings and hardwood floors. 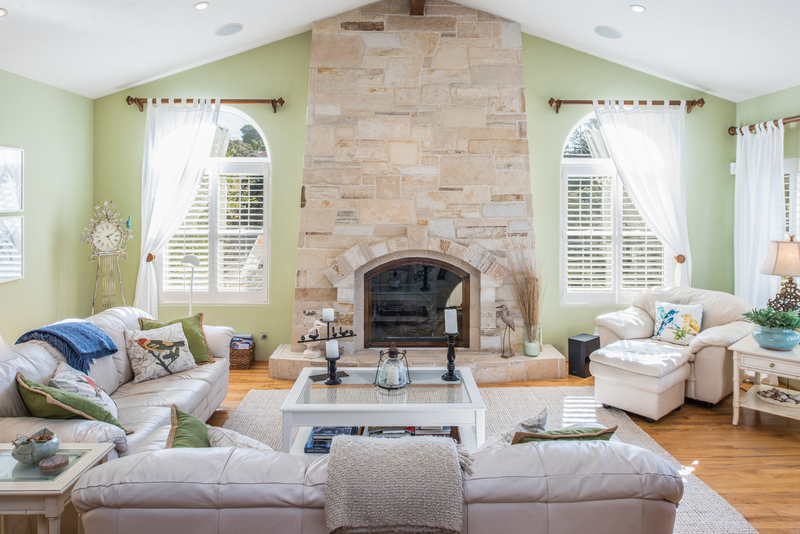 A small entryway opens to the sunken living room with a massive Carmel stone fireplace, white leather couches and easy chair with light pouring in through large arched windows on either side of the fireplace. One wall holds numerous prints of birds, plants and flowers, establishing a theme that repeats throughout the house. You will love sitting in this room and playing games, having long conversations or watching movies on the 36” flat-screened TV tucked away in a wooden amoire. Slightly elevated and completely open to the living room is the dining room with an off-white caned breakfront cabinet holding glassware and nick-knacks and an off-white table with cane-backed chairs that can seat up to 6. Ceiling fans in both the living and dining rooms contribute to the house's island feel. 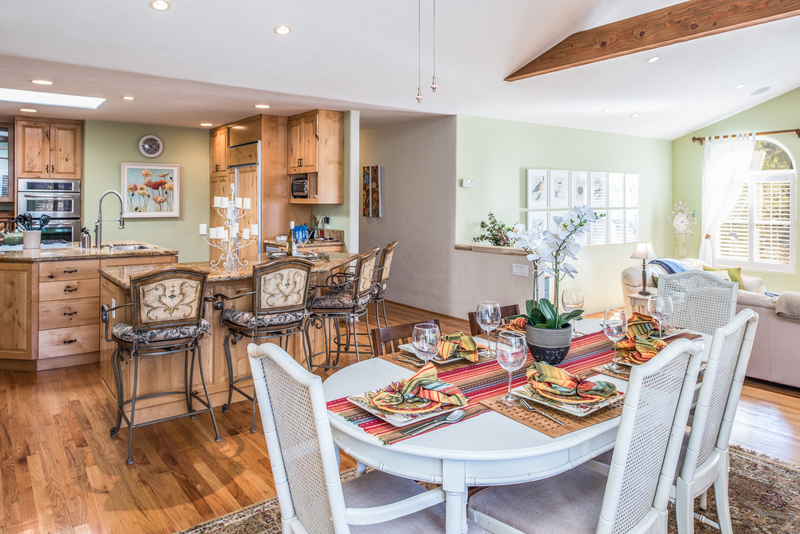 The dining room is contiguous with a chef's dream-come-true kitchen - an absolute stunner with golden granite surfaces, pine cabinetry and a carefully conceived floor plan. At the perimeter is a bar with stool-seating for 4 for casual meals or conversing with the cook. The main work area revolves around a large island containing sinks, a built-in stove top and a stainless steel dishwasher. 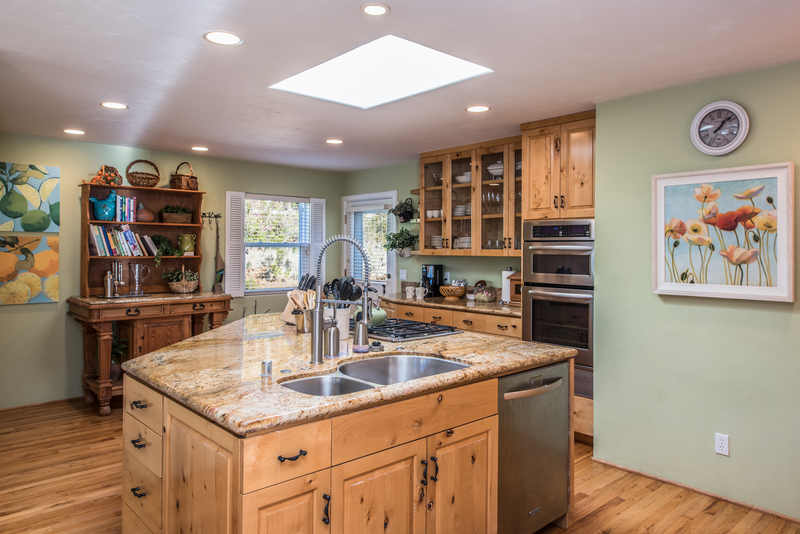 There is also a stainless steel oven and microwave and a large refrigerator faced with pine. Everything you could think of for preparing and serving memorable gourmet meals is here, including a selection of cookbooks. Brew your morning coffee and exit from the kitchen with your cup of java to an enclosed patio with a couch, chairs and a table. The spacious master bedroom has a sophisticated French feel with a cool robin's-egg-blue and white palette, broad-striped wallpaper, wall to wall white rug, filmy white draperies, a white-caned dresser, mirror and end tables, and a white wrought-iron king bed with luxurious linens. There is a small private deck with a lounge chaise for sunbathing or reading a book. A small seating area in the master includes a white sofa and an arm chair. Take a relaxing bath by candlelight in the deep spa tub with jets in the master bathroom, his-and-hers sinks and separate shower. A second bedroom in a soft buttery yellow has a white wrought-iron queen bed with bird-themed coverlet and white end tables. A second bath with a shower has a spa feel with its taupe and beige tiling. Relax with a book in a third room, that could be used as an office, with a sofa that converts to a queen bed to sleep up to two children. Please note that the owners have a vehicle parked to one side of their driveway that remains there year round. There will still be room for you to park a car in the driveway next to it. "Outstanding property! Excellent stay. Thank you." "Beautiful home and location! The home is beautifully situated in that it is close enough to everything that Monterrey and its surrounding area have to offer, without being in a high traffic area. The house is extremely spacious and feels very new/upgraded. I would certainly rent this location again!" "Excellent! Everything as advertised and what we were hoping for." "We had a wonderful stay. The house is very comfortable, has all the supplies a family needs and appliance are very useful. Sanctuary Vacation Rentals has a great job in terms of ease of booking, communication and customer service. Will definitely book one of their houses again." "Beautiful home and property. The home was better than we thought it would be. Attention to detail throughout. Beautiful living area and well stocked kitchen; the master suite is amazing. I can't imagine that anyone would be disappointed staying here. It is convenient to the aquarium, wineries, wharf and restaurants. Do not rent this believing that you will be on or, near the water; it is not visible and is a 10 minute drive. The ease of renting was fantastic." "Absolutely Perfect. I loved everything about our stay at this beautiful home! The decorating was so calming and beautiful—warm and inviting. It was immaculately clean. I'll confess that we didn't once turn on the TV but we invited friends to cook dinner with us in the amazingly stocked and big, open kitchen. I appreciated the little extras like foil and plastic wrap and spices. We read out on the patio with the gorgeous flowers bursting everywhere. We walked down the quiet street and listening to the birds and the trickling stream. We played games around the table and enjoyed a late night relaxing bath in the jacuzzi tub. Oh my goodness! It was absolutely perfect! Thank you for allowing us to feel at home in your lovely home! We were close to Seaside, just about 7 minutes from downtown Monterey but tucked away in a quieter area with very little traffic. Close to a Safeway to get a few groceries. Enjoyed the aquarium one day and kayaking in the bay another. Perfect vacation!" "Fantastic value! This is a wonderful rental property and unique in that it feels much more like a home than a house. The open floor plan is both aerie and comfortable. 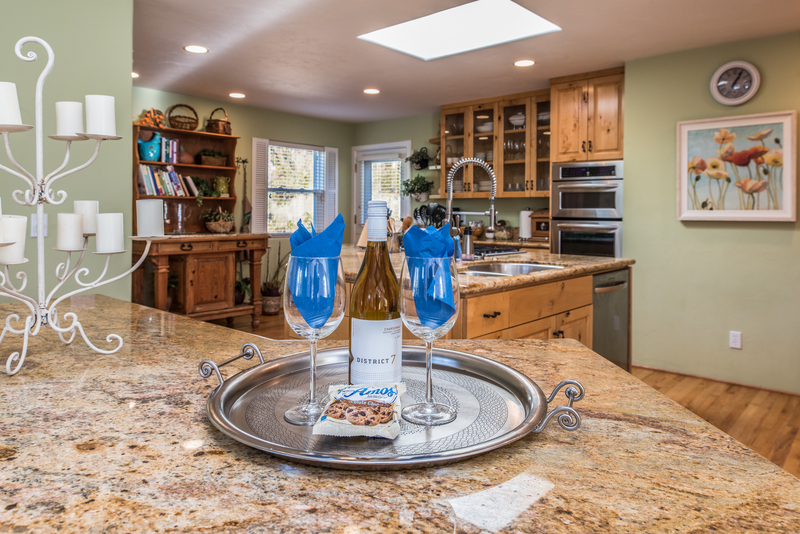 Further, the property is totally turn-key -- including the kitchen, which has EVERYTHING anyone would need to plate a gourmet meal. 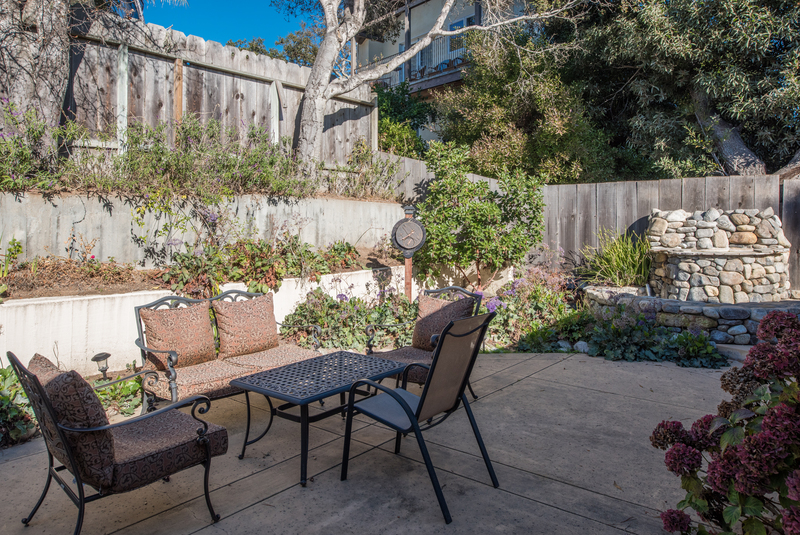 The house is very well located near Monterey and Carmel (about 10 and 20 mins away respectively) and 5 mins from major grocery and drug stores. The property managers are wonderful. They added a numbers of thoughtful Christmas touches that made a wonderful stay so much more special." "Thank you so much for the thoughtful Christmas touches - made a wonderful stay so much more special." "Wonderful House - exceeded expectations! We were thoroughly impressed with this home. It was large, beautiful, and just very homey. It was a great location - quick drive to all of the things we wanted to go to. The beautiful gourmet kitchen made it a blast to cook in. And the fireplace was exceptionally nice on the cold Monterey night. Really loved our stay here." "House with Everything! This beautiful house in Monterey is fabulous. Four women stayed during a wine trip -- comfortable beds, even in the study with the pull out bed. The kitchen seriously had every single thing you could possibly need -- pots, pans, dishes, spices -- wine openers! The rooms were immaculate -- they were decorated in soothing tones with nature accents. We would definitely rent this home again. Attention to detail is evident from appliances to furniture. Outside space was awesome." "Had a wonderful time in your beautiful home. It was a most relaxing vacation, everything we needed was right here. We hope to return soon." "Outstanding! This home was absolutely perfect, with every amenity one could need. The kitchen is stocked for a gourmet cook, with plenty of utensils and quality pots and pans. We enjoyed making smoothies every morning, watching the hummingbirds go from flower to flower in the lovely landscape and in the evening we enjoyed dinner on the patio listening to the lovely fountain. These are five star accommodations with ample space to relax, we'll have a hard time ever staying in a hotel again. Everything you need (grocery, restaurants, attractions) is nearby. 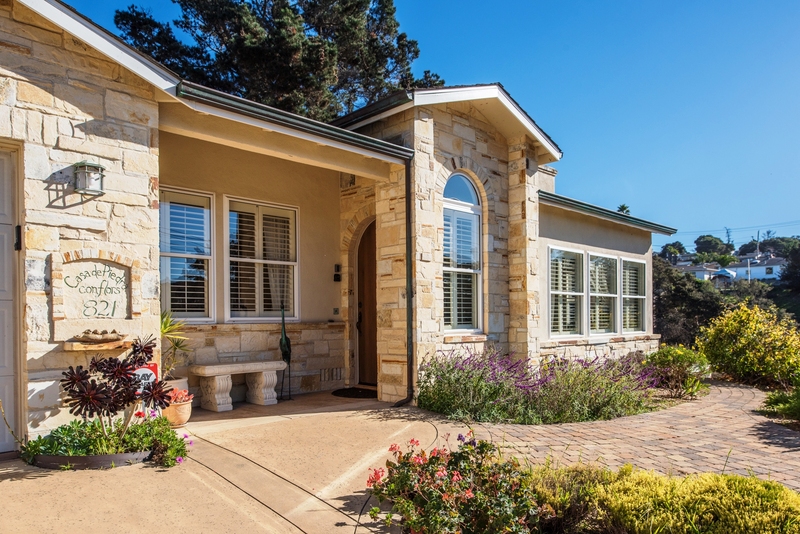 Would recommend to anyone looking for a long term stay on the Monterey peninsula. 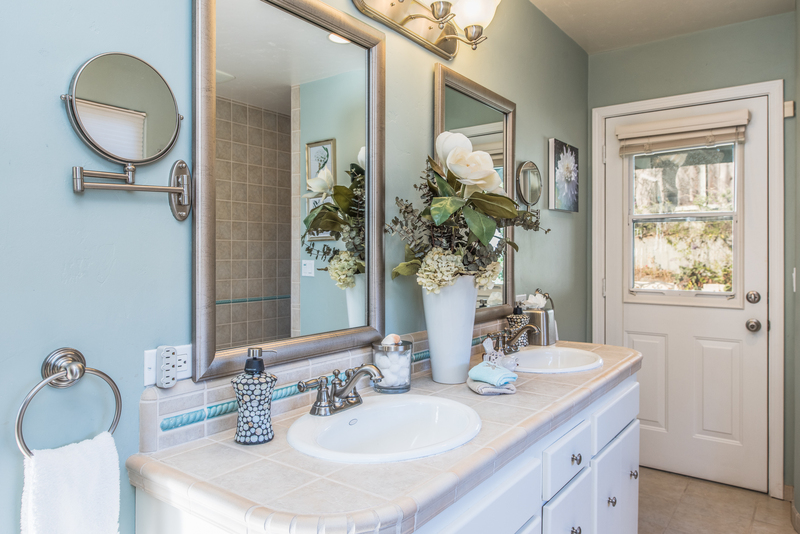 Clean, neat and upscale." "Lovely home, Thank you! Came for a wedding & my family's home was 10 minutes away. Warm & perfect weekend! Thanks again." 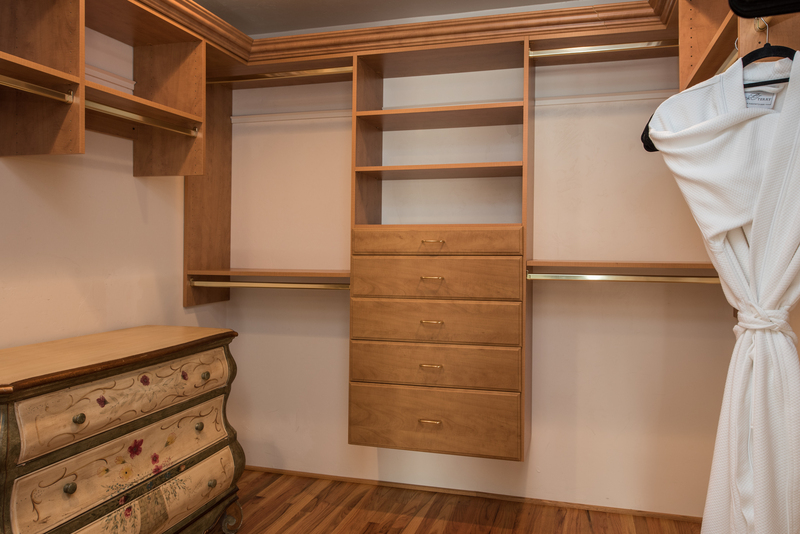 "The house was so beautifully furnished, cleaned and well equipped. It really felt like a home during our vacation. Thank you!" 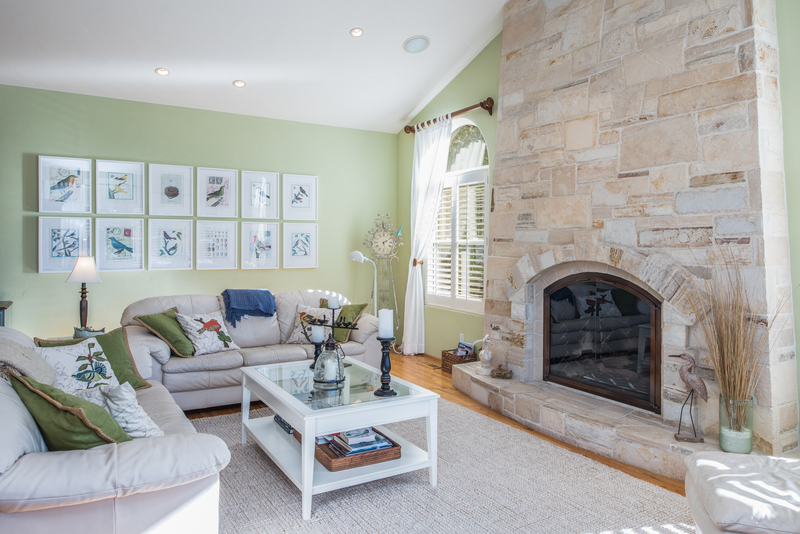 "The house was perfect for my family of five. We cooked dinner 4 of the 5 nights we stayed at the house and it was refreshing to have a fully stocked kitchen. Each of the rooms were inviting and comfortable. The Jacuzzi bathtub and a glass of wine was a nice way to end the day. Thank you for sharing your home with us." "What a wonderful stay! The house is great, and I love the dishes & pans in the kitchen. Everything was organized, clean and 'pretty'. We had a wonderful time at a great location." "We had a wonderful time in your wonderful home! So comfortable, it was our home away from home for the week we were here! Looking forward to our next trip!" "We had a wonderful time at your home. My family and I came from the Bay area to have a relaxed time at Monterey. Your house was comfortable and calming which helped make our vacation a fun time. The house was well lit, roomy and airy." "What a wonderful place to stay. My daughter in law concisely and accurately complemented on how it was just such a restful place. We brought my mother also so she could see her sister and brother and family - local residents - and it was an extraordinary opportunity - we were here for his celebration of 90 years." "Thank you for the elegant and thoughtful attention to detail. Our entire family was graciously accommodated. The space allowed us to be together or apart as appropriate - a critical component when little ones need rest." "We were able to share meals and time other than in commercial venues - also a critical advantage with little people, including a safe outdoor space to breathe a little. My 4 year old granddaughter loved the 'castle gate' to the patio area." “Beautiful, clean- safe for scent-sensitive people! Clean, very close to Laguna Seca. Garage. The property is close to the airport, however, one cannot hear the planes much at all. Plenty of outdoor entertaining space, weather approving. plenty of sunlight inside. My personal favorite amenity: unscented laundry detergent. Most times I am unable to sleep due to the scented detergent on the sheets on the beds... not so in this house! Plenty of room for everyone, spacious bathrooms, perfect kitchen, has most things an aspiring chef would need. Great service, I would recommend this place to a friend." 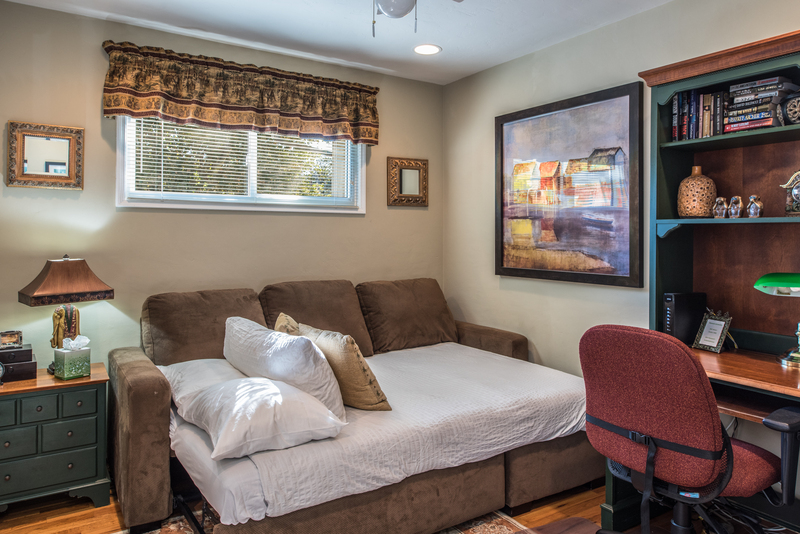 Maximum occupancy - home sleeps up to 4 adults and 2 children age 12 and under. 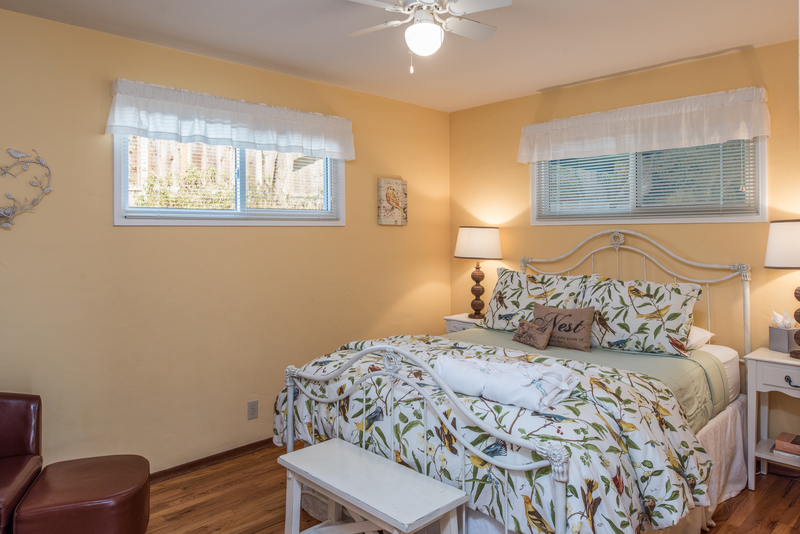 Note: Master Bedroom has a small seating area, access to a small private patio and an en suite bathroom with dual sinks, tub and separate shower. Queen size sofa bed with foam topper for up to 2 children. Note: Bedrooms #2 and #3 share a bathroom with a standing shower that is accessed via the hallway.